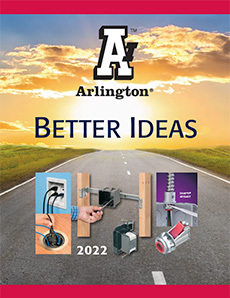 Arlington's zinc-plated steel and stainless steel low-profile, strain-relief cord grips offer the widest cord ranges in the industry, so there are fewer items to stock. 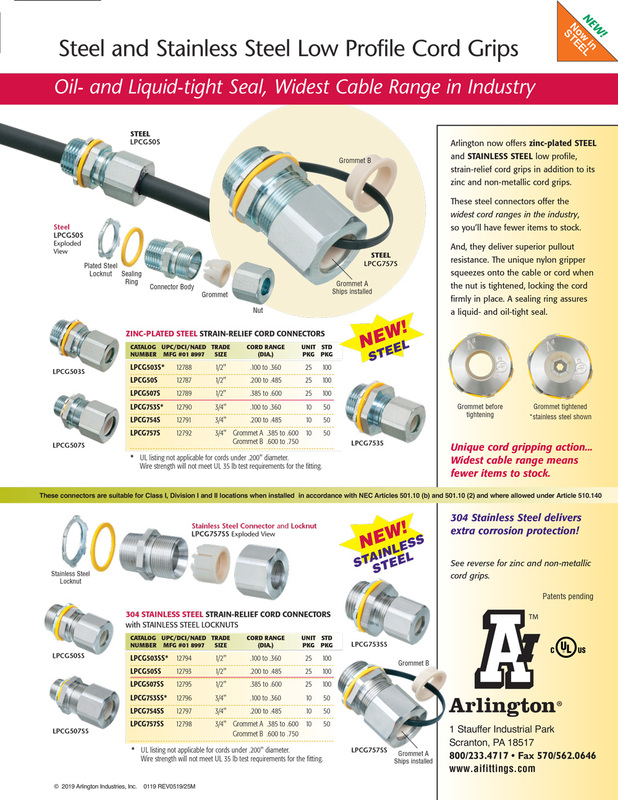 These six connector sizes cover a cord range from .100" to . 750". They also deliver superior pullout resistance. The unique nylon gripper squeezes onto the cable or cord when the nut is tightened, locking the cord firmly in place. 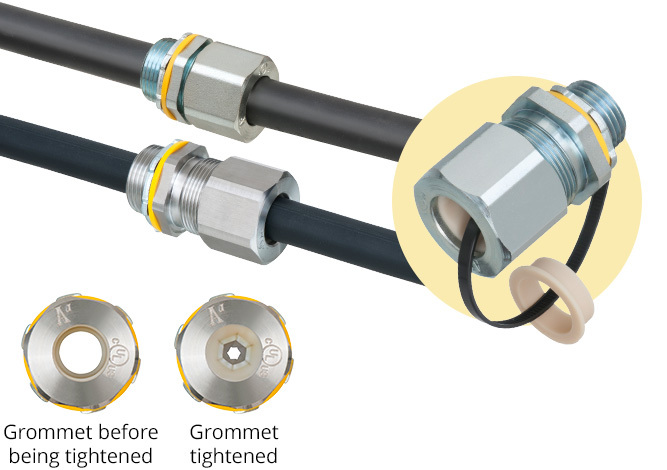 A sealing ring assures a liquid and oil-tight seal. 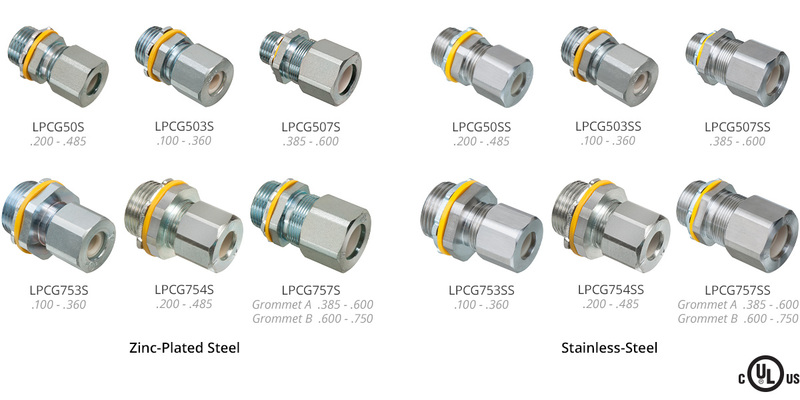 The 304 Stainless Steel delivers extra corrosion protection.